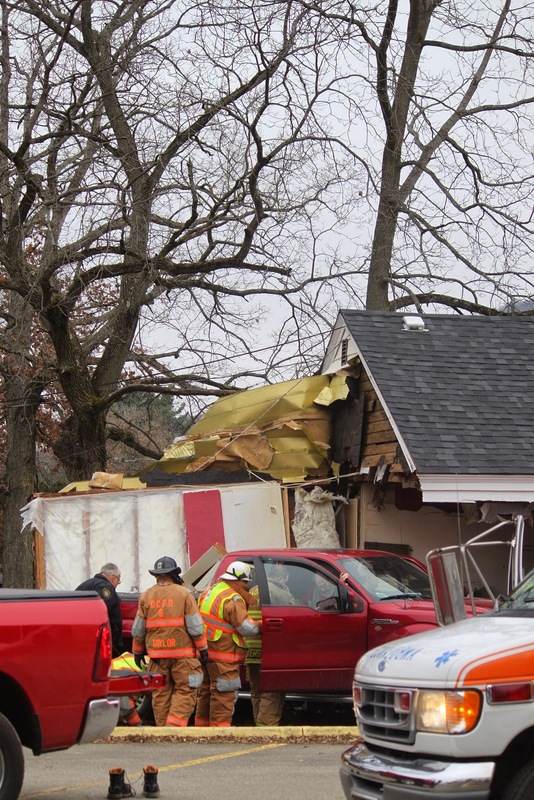 A pickup truck crashed into a house next to the Perkins restaurant parking lot at just before 11 o’clock this morning. The driver was able to get out of the truck with some help from Derrick City firefighters, and wasn't hurt. There is significant damage to the house that was hit but no people were hurt. The crash ruptured a water main and all utilities to the house were shut off as a precautionary measure.